I may be old fashioned or perhaps naive, but I was raised to always accept a gift graciously and be thankful that someone took enough time to think of an appropriate gift. There was an adage that I learned years ago in retailing that eighty percent of the gift items purchased the last two weeks before Christmas, were always the first gifts that would be returned the week after, because most of the gifts were bought in haste. I am going to now discuss a gift that we received that was well thought out and was totally appreciated. One of our sons, bought us two gifts, and I will discuss one of the gifts first. 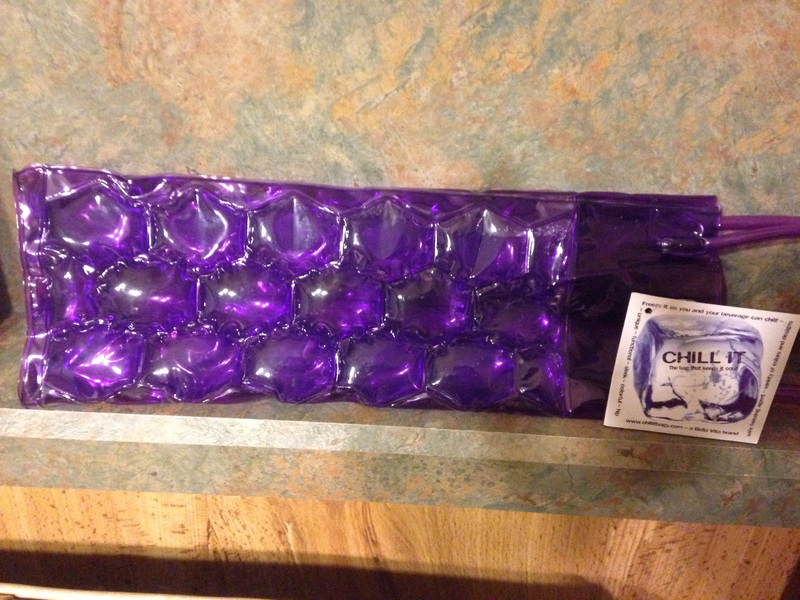 It is a rather distinct purple wine bag that looks like the bubble wrapping that one surrounds a fragile item for transporting, but is a “Chill It” bag that is designed to be placed in the freezer to transport a bottle of wine and to keep it chilled, until it is time to open it. It is something that I have not seen, though to be truthful when I am in a wine shop, I usually do not spend much time in the accessory section, as I am always looking at wines. The other item that came with this bag is where the true thoughtfulness appears, and it is a bottle of wine. Now this is not just any bottle of wine, and the caveat that accompanied the bottle was that it was a bottle of wine that my Bride and I should enjoy for our upcoming anniversary, that is a milestone of note, after all, all of our anniversaries are treated as milestones and should be celebrated properly. This wine came in a box that was quite elaborate directly from the winery, and I was going to open it up, but as I inspected it, it had an ingenious seal to keep it from being opened up, so I shall leave it as it is until the proper time. 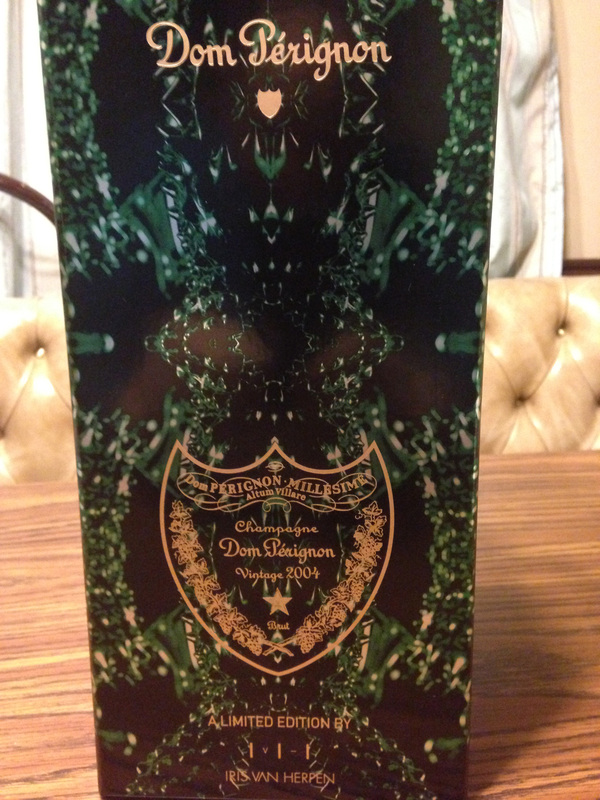 It is a bottle of Champagne from Epernay from the esteemed house of Moet et Chandon, Dom Perignon Brut 2004 and it is in a limited edition issue bottle and “cocconase” designed by the Dutch artist Iris Van Herpen and her interpretation of Dom Perignon’s “Metamorphosis.” This will be a wonderful bottle of wine and a great way to celebrate. Historically this wine is a half and half blend of Chardonnay and Pinot Noir, and a vintage year is not always declared; and after a vintage year is declared and the wine is made, it is cellared at the winery for eight years before releasing to the public. This is all very heady stuff, and I can foresee another article in the upcoming year about the opening of this bottle of wine, and another time to thank our son for his thoughts and largesse. This entry was posted in Wine and tagged Brut, Champagne, Chardonnay, Cocconase, Dom Perignon, Epernay, France, Iris Van Herpen, Metamorphosis, Moet et Chandon, Pinot Noir. Bookmark the permalink.